The Governor of Imo State, Rochas Okorocha, has accused the National Chairman of the APC, Adams Oshiomhole, of turning the party into a “regional party”. Gov. 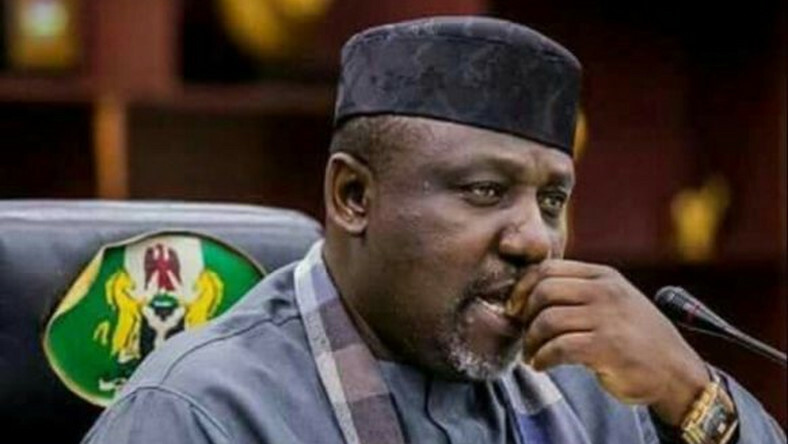 Okorocha who was suspended from the APC over alleged anti-party activities, spoke to journalists after a meeting with President Muhammadu Buhari at the State House yesterday. He said the South East must be given the chance to produce either the senate president or deputy senate president for geo-political balancing and distribution of positions. “I’ve been watching carefully what is happening in the National Assembly; it’s a very funny drama. But all I ask from them is that they should consider the South East in their calculations. This nation will not be properly balanced if the South East is not carried along properly in the affairs of the National Assembly. “Nobody seems to be talking about the South East; it looks like the South East doesn’t have a place anymore; that is wrong, politically speaking, and that is not good for APC because there is going to be a bigger APC after President Buhari must have left the seat. “My fear now is that APC might have a serious setback in 2023 because the Oshiomhole-led executive is actually turning APC into a regional minority party, which shouldn’t be, because of his mistakes. Right now in the whole South East, we don’t have an APC governor. “So, if there is any discussion in Nigeria now among the APC governors and President Buhari, there would be nobody from the South East. This is what the APC chairman has done in the South East. It’s a capital attempt to frustrate the effort of the South East. But I appeal to every Nigerian to support the cause of the South East. “They shouldn’t think about giving the South East whatever position for giving sake. You can’t just wake up and give them any position. South East is a key primary zone in this country and if we don’t get the number one seat, we should get the number two seat,” he said. He said the feud between him and Oshiomhole had not affected his relationship with President Buhari. He said he was in the State House to invite President Buhari for the commissioning of over 1,000 projects he had executed in Imo State, and that he did not discuss the issue of his certificate of return with the president.